We thank all of these chefs for their active dedication to the ACF Central Florida Chapter! Our COY nominees will share brief messages with you in an upcoming email later this week. Voting will take place in December by email. VERY IMPORTANT: Ballots will be sent to the email address you have on file with the ACF National Office. That may be a different email than the one we use to send you ACF/CFC email newsletters. We will send out an email reminder when the ballots have gone out. At that time, if you don’t see the ballot in your inbox or spam folder, you can alert us at that time. It’s that time of year again, chefs. Time to help put a smile on the faces of the families visiting the Give Kids The World Resort. The ACF Central Florida Chapter will once again provide a grand holiday dinner on Thursday, December 8th. Please volunteer your time or product by contacting event chair Chef Bryan Frick C.E.C., A.A.C. at bryan.frick@us.nestle.com. 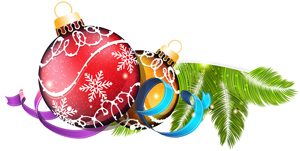 Don’t forget to RSVP for the 2016 Annual ACF Central Florida Chapter Christmas Party! The ACF/CFC Christmas Party is for members and their immediate family or 1 guest only. Join us at CityWalk’s Rising Star in Universal Orlando on Sunday, December 11th from 6:30pm to 8:30pm. Parking at Universal is free after 6:00 pm (with a valid Florida Drivers License). Attire is “casual or holiday”. In lieu of admission, please bring an unwrapped toy to donate to Toys for Tots. To RSVP: Email Lynda Alfano directly at marketingchefs@acfcfc.com. Please provide your membership number when making your RSVP. Reservation deadline will be Tuesday, Dec 6th but don’t wait too much longer – available reservation space is almost full. See you at the December events!